He also added that the SU Botanical Garden is the perfect platform from which to build up international partnerships and drives many research and conservation projects. “Besides the collections, the expertise that has been built up in your Botanical Garden and University has a huge role to play in helping build capacity in other botanic gardens not only in your region but also on the rest of the continent,” he said. Du Plessis also credited Martin Smit, the former curator of the SU Botanical Garden, saying that he is instrumental in SU receiving this acclaim. Not only did Smit enhance the research value of the Garden, but also introduced new standards of record keeping. These includes restoring the heating system for the lily dams to accommodate the specific needs of the giant water lily, Victoria cruziana. The garden is the only garden inAfrica, apart from Madagascar, where visitors can observe this unique lily. 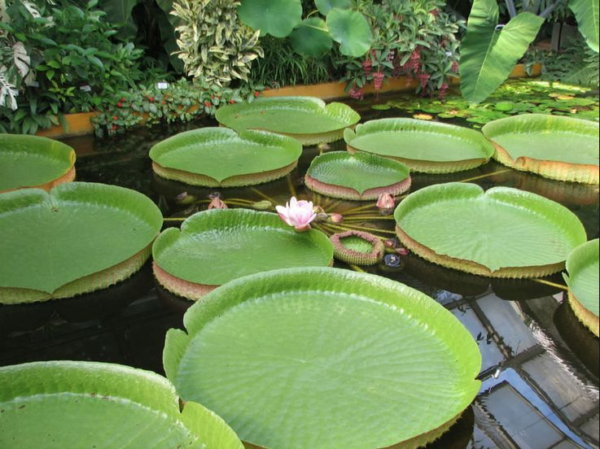 He also renovated and enlarged the tropical glass house , which is now home to the world’s smallest water lily, Nymphaea thermarum. Nymphaea thermarums, a critically endangered water lily, disappeared from the Rwandan wild a decade ago, and there are only a handful of botanical gardens worldwide who have succeed in propagating and growing this sensitive plant. On Smit’s initiative, the long-forgotten underground water reservoir was renovated, just in time to keep the plants alive during the current drought. The SU Botanical Garden is the oldest university botanical garden in South Africa.